The oceans have the capacity to slow down climate change by absorbing the atmospheric CO2 emitted by human activities. 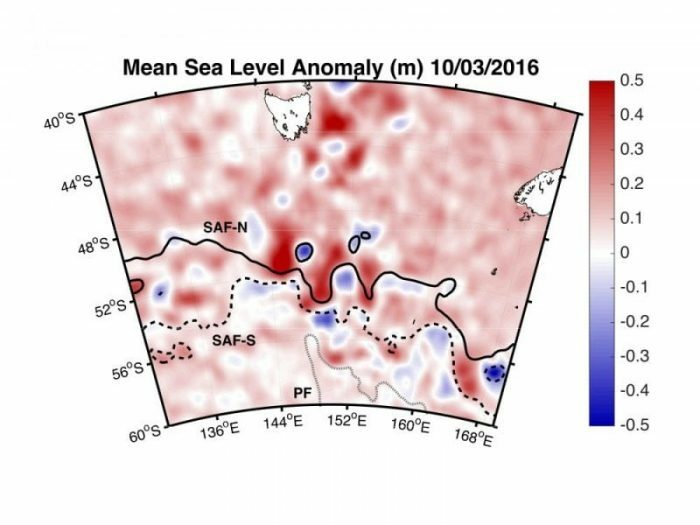 Australian scientists now question the role of oceanic eddies in absorbing atmospheric CO2. In the ocean, the absorption of CO2 is mainly carried by the phytoplankton, the microscopic plants that grow in the sunlit surface waters. 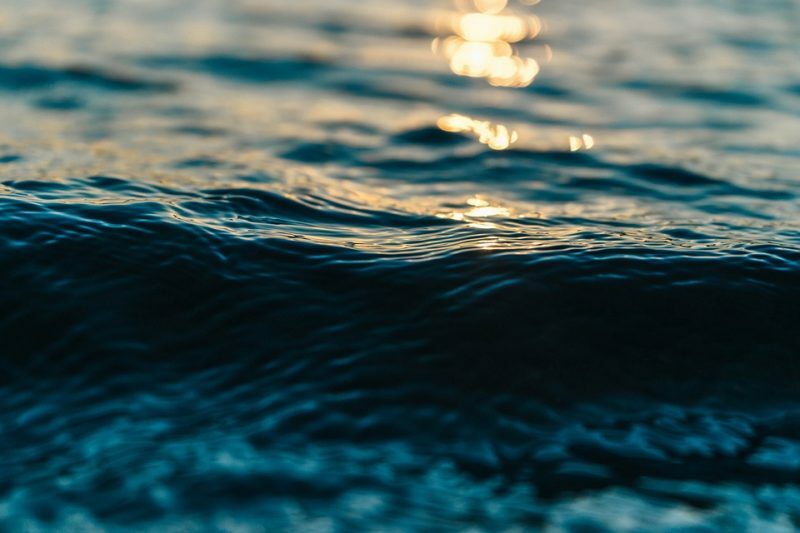 The oceans take up more than 25% of human CO2 emissions annually, and the Southern Ocean, a particularly important sink, is responsible for 40% of the oceanic CO2 uptake. Oceanic eddies are natural whirlpools, created by ocean currents. They are typically about 100km wide and penetrate up to 1500m deep. Scientists believe that they play a major role in ocean biology. In particular, eddies can pump nutrient-rich deep waters to the surface where they sustain the growth of phytoplankton and, therefore, the fixation of CO2 by these microorganisms. This role is, however, not clear as cyclonic (clockwise) and anticyclonic (counterclockwise) eddies can trigger different physical responses. 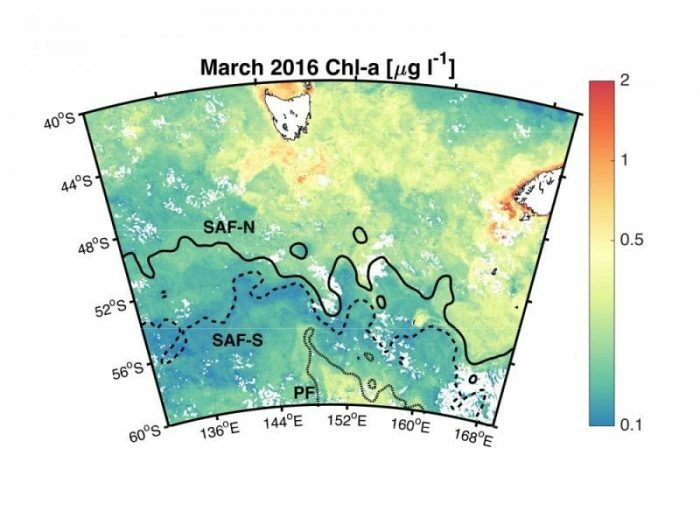 To tackle some of this question, Australian scientists recently studied a large oceanic eddy that detached from the Subantarctic Front south of Tasmania (Australia). They followed the formation of this eddy with satellites for 1 month before they sailed to it onboard the RV Investigator to study its physics, biology, and chemistry. The eddy did re-supply the surface ocean with nutrient-rich deep waters. 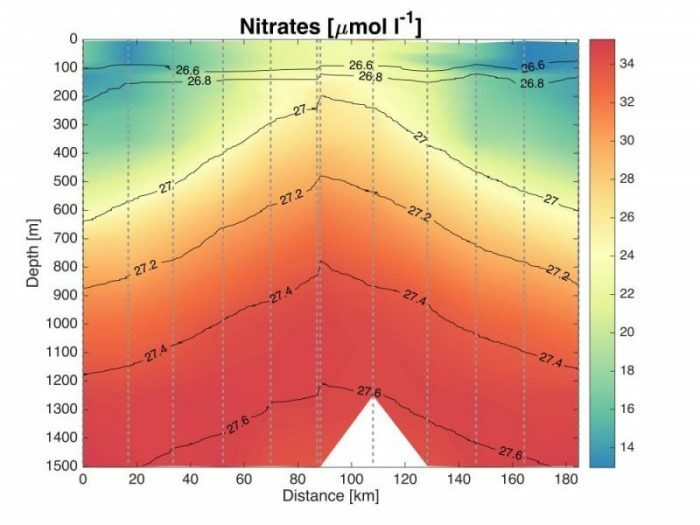 A plume of rising deep waters, full of nutrients such as nitrates, was observed at the center of the eddy. In spite of this, the giant whirlpool was less productive than the ocean surrounding it, which was a surprise to the scientists onboard. Phytoplankton may have been low in the eddy for two reasons. First, phytoplankton, just like any other living organisms, needs iron to grow. Iron concentration is, however, notoriously low in the Southern Ocean and was, indeed, very low in the surface waters of the eddy. Second, zooplankton, such as copepods or tiny shrimps that graze on phytoplankton, were highly abundant in the eddy. Both the low iron concentration and the high zooplankton abundance may have kept the phytoplankton to low levels. It turned out that the giant whirlpool was a very large source of CO2 for the atmosphere, not helping with climate change. This study, Eddy-induced carbon transport across the Antarctic Circumpolar Current was recently published in the journal Global Biogeochemical Cycles. 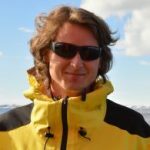 Dr. Sebastien Moreau Is a postdoctoral research scientist at the Institute for Marine and Antarctic Studies (IMAS). He studies the biogeochemical cycle of carbon in the Southern Ocean, from frontal jets and eddies to the sea ice zone.